I'm in Auckland for a few days to shoot a digital story in a couple of schools. I went for a walk around the city today to take some photos. 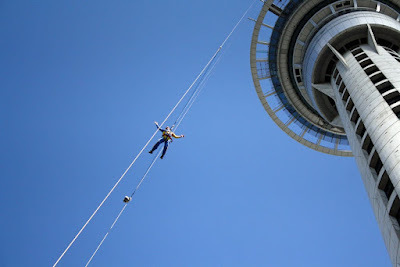 This brave soul decided to leap from the Sky Tower. Whoa! How high up is that anyway? Very brave! Nice perspective for a shot!